Can I confess something to you my friends? Sometimes I just want to stick one pumpkin on one shelf in one room of my house and declare that I’ve decorated my house for fall. Between working against the book deadlines, running the business that is this blog, getting kids back to school and all of the general craziness of life, it was definitely tempting to do that. But then I found this vintage picnic basket at a second-hand store. And well, I just had to do a little bit more. Because isn’t it just so lovely in all of it’s patina covered glory? It really wanted to come home with me and be apart of my fall decor this year. Here’s the thing though. I spent maybe only 10 minutes decorating my entry for fall. Honestly? That was about all of the time I could give it. But when it was all said and done, I realized something. Something that it has taken me years to realize but has given me so much freedom. Seasons are too fleeting to be spending all of your time decorating for them. They are meant to be enjoyed, relished, celebrated. They aren’t meant to be spent getting sweaty digging through bins and bins of decorations or frustrated at the craft store because you can’t find just the right color of fake pumpkins. If seasons are reminders of the passage of time, why would we want to waste that time? I’m not doing it any longer. I’m embracing a more simple approach. One that only takes as much time as I’m willing to give it and lasts only as long as I’m enjoying it. And to admire how perfect these vintage prints are in this space. Because, when all is said and done, I’m finding that it is the simplest things that are the most lovely to me and are able to capture the true beauty of the season. And those are the things on which I wish to spend my time. 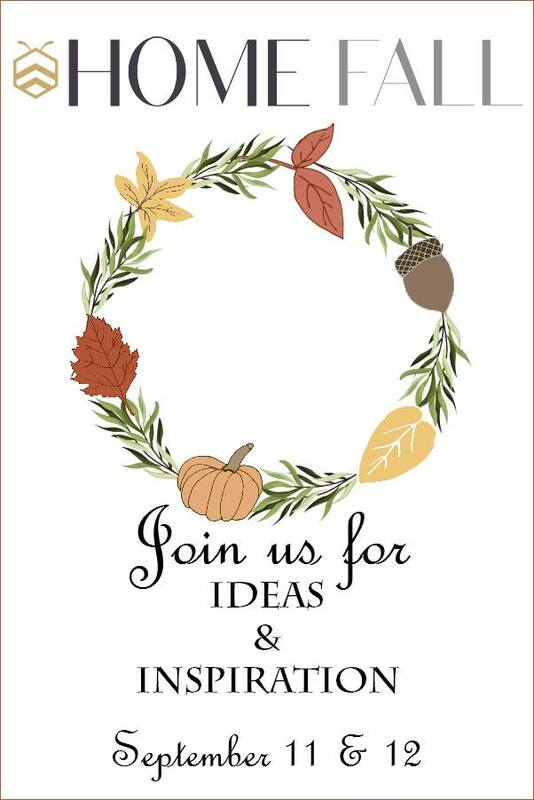 Now, I’m also spending time over the next couple of days with an amazing group of women and we have some wonderful fall ideas in store for you! 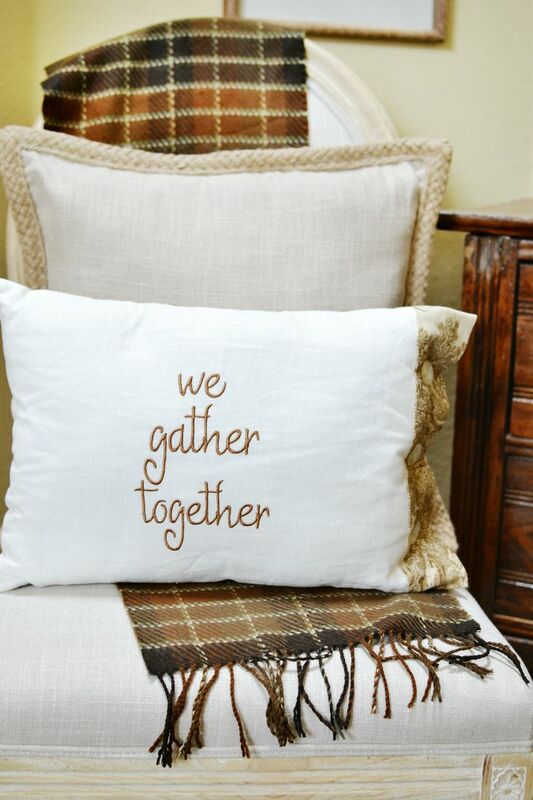 Make sure and come back tomorrow when the bHome bloggers will be featuring more fall ideas and inspiration. I will be sharing more than 30 links to amazing decor, crafts and recipes right here in one place. And bHome is pleased and honored to have Decor Steals sponsor this event. We will be giving away five (5) coupon codes each good for $100 at Decor Steals. There will be 5 winners! Winners will be contacted on or about 9/19. As always, thank you so much for meeting me at the fence today. See you right back here tomorrow! 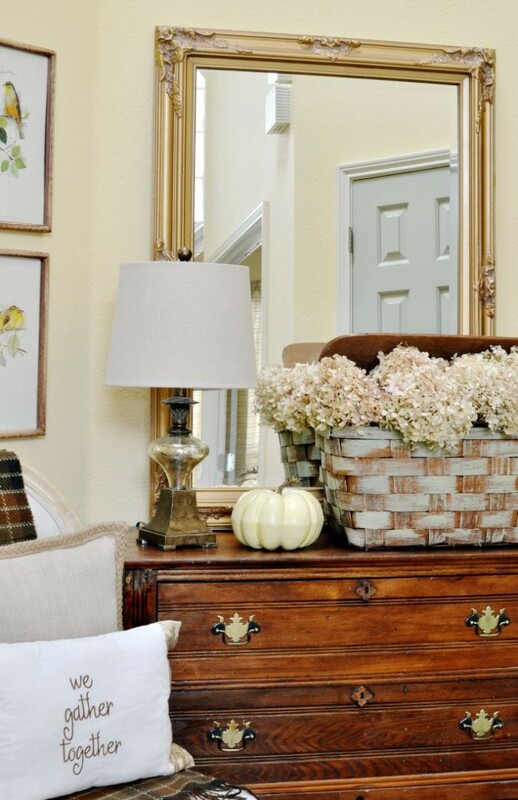 36 Comments on "Simple Fall Entry Decor"
Love your fall decor, especially the basket with the dried hydrangeas!! Thansk for sharing…. Yes, so true not to get frustrated and stressed out over seasonal decor. I get so stressed over the holidays and just want to do less and less as I get older. Your front entry says welcome fall so beautifully with just the perfect simple touch. You are so right! I’ve spent way too much time in the past digging through bins rather than enjoying life with my loved ones. And look how BEAUTIFUL everything looks with just the simple little touches you’ve added! Well done, friend! I love what you’ve done here. That chest is gorgeous!!! It just depends on the mood for me. Sometimes I like simple and sometimes I like over the top. That’s the beauty of decorating. Gorgeous. 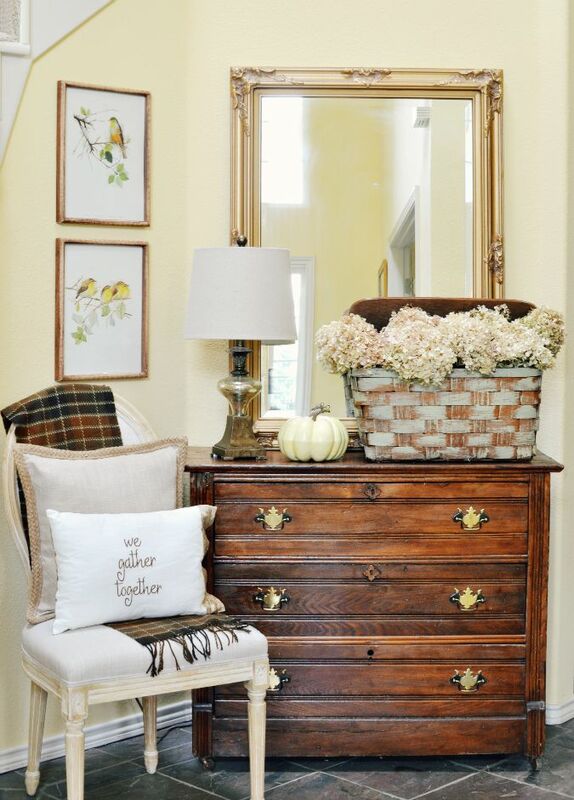 Love the plaid and the basket is stunning with it’s pretty flowers. Beautiful entry. So very beautiful Vanessa!….I have several vintage picnic baskets and I love that way your is painted…and I have that very same pillow and adore it…Love Ann’s beautiful work!…Have a great weekend and glad to party with you! Yes to keeping things simple! I’m learning that not only do I not have the time or money for anything elaborate, but simple is also just so much more soothing to our eyes and creates a much more relaxing space to be in. 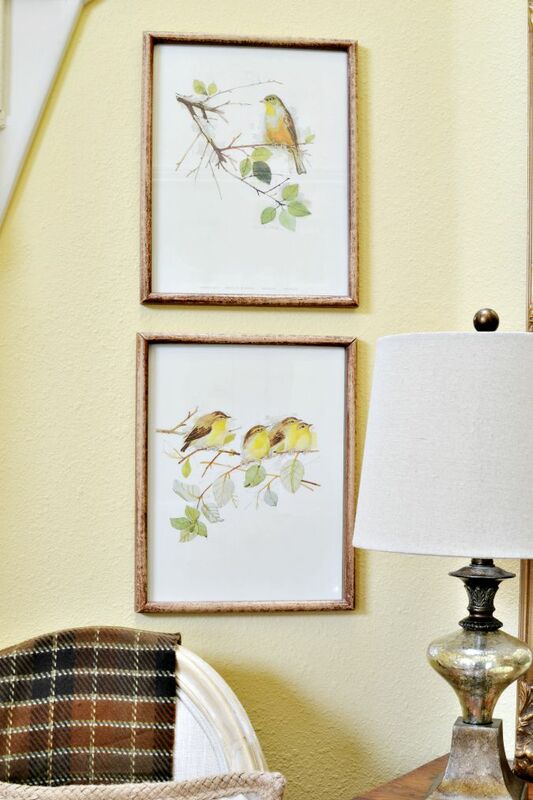 Such a lovely vignette, and I adore the bird prints. We’ve thinned out our holiday decor in the past couple of years as well. We’ve cut our Christmas decor by about half, and I think I will give away more this year. I’m beginning to think I just want real pumpkins for Halloween and live poinsettias and fresh greenery for Christmas. They’ll look beautiful for the season, and then they can be composted. No storage! Vanessa not only do I LOVE your pretty vignette I LOVE that beautiful chest too!! The hydrangeas looks so pretty in the picnic basket! I love how simple everything is, yet how it screams fall in the simplest of way!! The unique plaid throw, the pillow & the basket of hydrangeas are gorgeous!! So lovely! vanessa, i am totally with you. I think blogging puts a bit more pressure in that arena, although blogging i still loved bringing it all out, but the stress of it all wasn’t there. that basket is gorgeous and so are you! Simple IS beautiful! And you don’t have to spend so much time putting things away when it’s time for the next season. Your entry is perfection no matter how long it took! Sometimes, less IS more! And, at your stage in life – you are right, there are much more important things to spend your time on! Enjoy the season with your family!! Absolutely…decorating should not be stressful! That basket was great find and a perfect addition to your entry! Vanessa, I so agree with your decorating philosophy!!! Yes, let’s gently add the season into our homes! I love your great basket find. 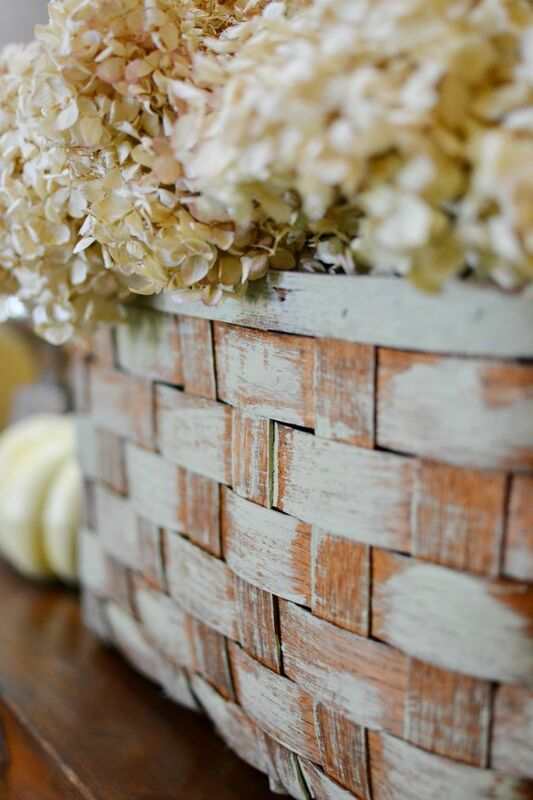 What a wonderful patina… and those hydrangeas are PERFECTION with the basket! SIGH! Every time I visit I take away such lovely inspiration! Pinning and featuring you on my fb page! Wisdom in your thoughts about emphemral nature of seasons which should be enjoyed & savored and not at a big box store searching for faux pumpkins,, which just vaguely remind us of the season. I enjoy vignettes and decorating for the seasons, but have definitely been simplifying my life in so many ways and decluttering my home. It’s freeing! Simple decorating….yes, yes, yes! The beauty is in the simplicity and your decor is simply beautiful!! Your words are certainly resonating with me as I stare at a completely empty mantel! But seeing how you painted your vintage picnic basket has inspired me to give one of mine a similar treatment for fall! And I have one of Ann’s lovely pillows, too, that will find a space in my home. Your simple approach is stunningly beautiful! What color are the walls painted? I’m not typically a fan of yellow, but that is such a gorgeous buttercream…..very, very nice. I would love to come home to this entry everyday! So warm, lovely & inviting. Well done! Well you did a fabulous job for a 10 minute makeover! Absolutely love your beautifully styled entryway! Your hydrangeas are perfect and I am in love with that sweet lightly painted basket! Thank you for your beautiful inspiration sweet friend! I love the picnic basket! I love that is painted, just lovely!! Beautiful! I so love your style. I feel the warmth and welcoming coming through every bit. 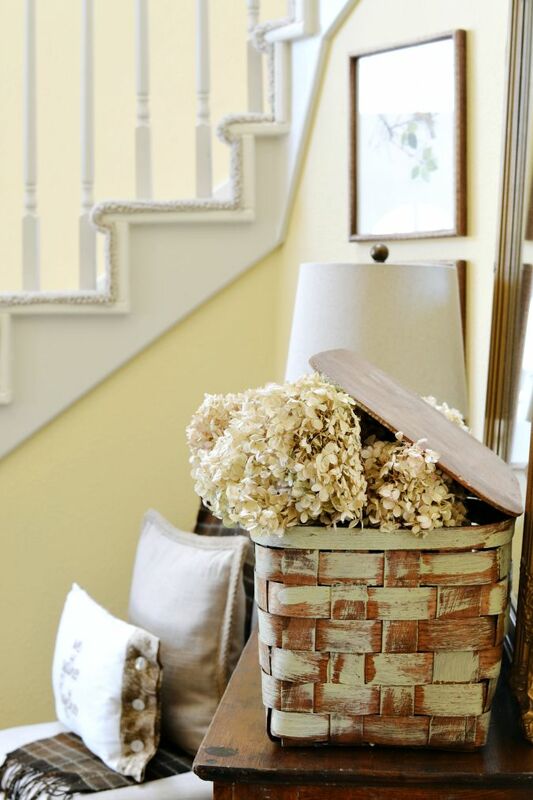 Your display of dried hydrangea in the basket is simply beautiful! We have been in our current home over 27 years. I am trying to simplify our space so we can enjoy the items we already have. Love the picnic basket idea which I can use for one I’ve had in storage and never use. Thank you for sharing!